Stylish Hipster Girl In Hat Posing In Big Fern Leaves In Forest. 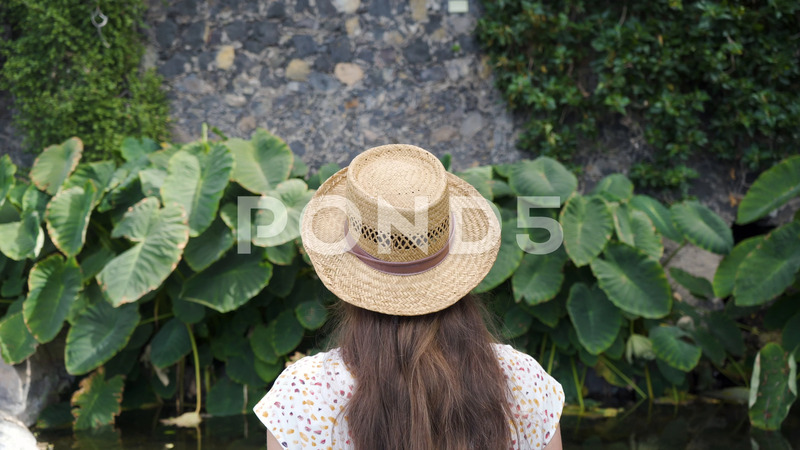 Description: A girl traveler stands in a dress and straw hat and looks at the huge green leaves. Recreation, meditation and relaxation, surrounded by beautiful and quiet nature.